On June 10, 1935, Dorse Lanpher was born with the umbilical cord wrapped around his neck. After he was resuscitated by the doctor, Dorse began living a meaningful life ruled by his vivid imagination, artistic talent, and passion for creating unforgettable special effects environments for the animated characters. 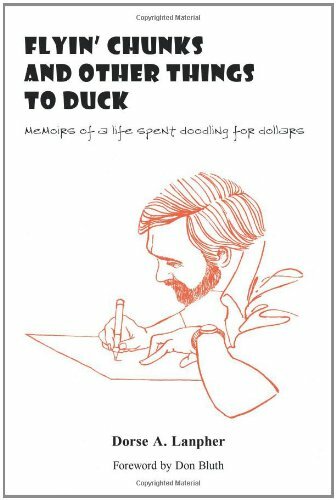 In his memoir, Dorse shares a revealing glimpse into his fascinating life as an artist in the animated film industry. He begins by offering entertaining childhood anecdotes that describe cherished moments like skinny-dipping with his friends, saving his money and buying his family their first television, and constructing a homemade golf course in a field of wild grass. After he graduated from high school in California and entered the Art Center School of Los Angeles, Dorse's talent was recognized by his teachers; after five challenging semesters, however, he left the school. As Dorse embarked on a journey to conquer a new world with nothing but a portfolio of his best art and a desire to live his dream, he soon discovered that, with a little tenacity, he could do anything. Dorse's captivating story proves that following one's passion is never free from struggle, but staying true to a dream can lead to a life fulfilled.